It’s not just drivers from the suburbs that will be smarting from the new congestion pricing plan for Manhattan. Parking garage owners in the prime office districts will also be hit hard. While the number of parking garages has increased across Manhattan, the number in Midtown and Downtown have dropped 25 percent in the past decade to 330 lots, according to The Wall Street Journal. Congestion fees are expected to be introduced in 2021, which will charge motorists around $11.50 to enter Manhattan below 60th Street. The Journal reported that some Manhattan garage owners have filed plans to demolish and convert to retail or apartment buildings in the past five years. The Real Estate Board of New York has supported congestion pricing, leaving parking garage landlords to fend for themselves. The industry has already reported declining revenues thanks to the rise of ride-hailing firms Lyft and Uber. But congestion pricing could have the opposite effect for parking garages located just outside of the fee zone, where drivers are more likely to park and then walk to work. 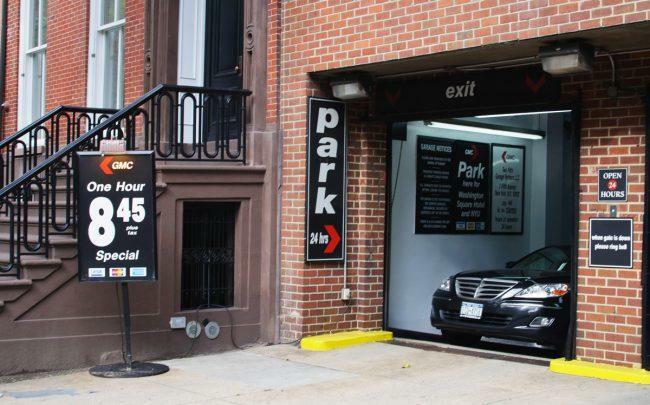 The number of garages for all of Manhattan has in fact increased, due to more private garages in apartment buildings.